No-Frills Bread at only S$1, originally uploaded by Camemberu. 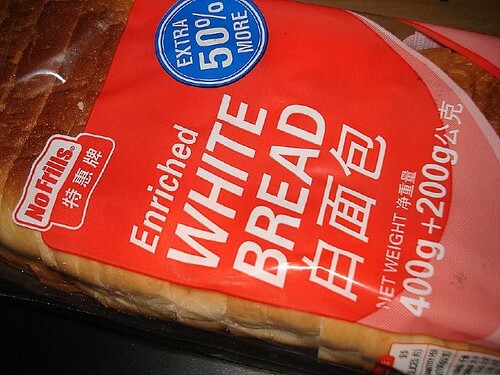 Prime Minister Lee Hsien Loong (who last year raised his own salary to five times that of the U.S. president) has told Singaporeans "there is no need to buy branded bread" because "bread is bread, and rice is rice". He was addressing the issue of the rising cost of living here and said Singaporeans should 'go for cheaper house brands' to save money. Multi-million dollar advice. Please heed.